Popsicle or crafts sticks are a crafting staple. This cute, triangular, painted vase for displaying faux flowers uses Popsicle sticks. 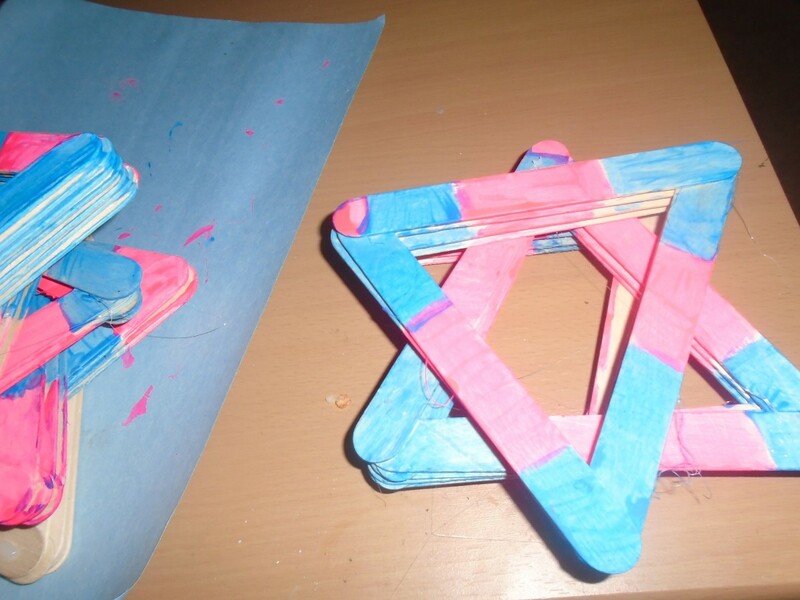 It is easy to make and a great craft for adults and kids alike. Learn how to make one here. 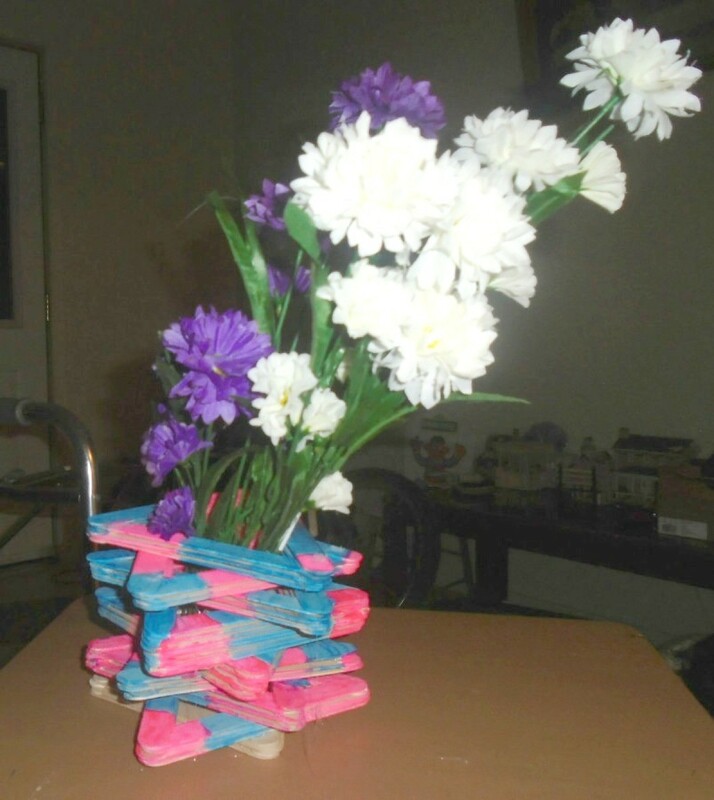 I made a Popsicle stick vase which looks really nice when you're done. 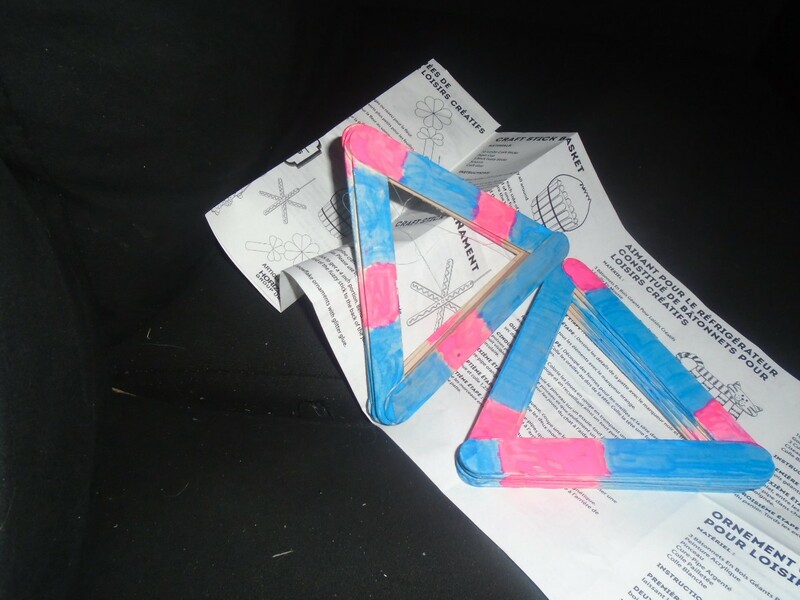 Glue three Popsicle sticks together in a triangle shape, if you want it higher glue 6 together. 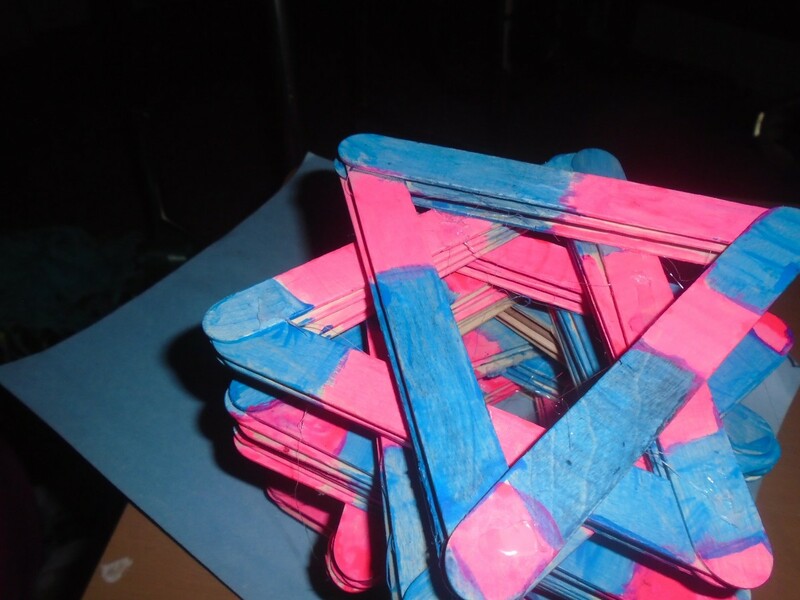 The triangle using 6 sticks is two triangles made with 3 sticks glued on top of each other. Paint each triangle group of 3 or 6 glued together. Once you have a group of 10, start to glue together with one point facing toward you. Glue the next one facing away from you keep alternating until all 10 groups of 3 or 6 are glued.